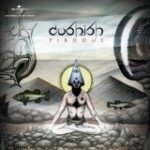 Share the post "Album Review: COSHISH – Firdous"
One of the perks of being a reviewer is that, just occasionally, a little gem pops up out of the general slew of releases that, had you not been reviewing, would never have appeared on your radar. One such is this little beauty from Mumbai-based Indian alt/prog rockers Coshish. Yes, you did read that right, progressive rock from India – and not just any old prog rock either. This is, to use the Indian vernacular, absolute Nirvana. Singing in their native Hindi, the band make no compromises whatsoever other than on the packaging where the band line-up and thank yous are in English - but even the lyric sheets are in Hindi. And it’s precisely this lack of compromise that contributes to this being one of the finest albums I’ve heard all year – and, trust me, there have been some belters in the last twelve months. These songs demand to be sung in the band’s native tongue and are all the better for it. The band have obviously been listening to some fabulous progressive rock and have drunk deeply from the cup of Marillion, Yes and Genesis with a side-order of Anathema for their influences. But they are so much more than their influences as this is where East meets West to dramatic effect. They have taken Western rock, its instrumentation and song construction and they’ve infused the music with Indian rhythms and vocals to produce a familiar yet totally different sound. From the beautiful opening arpeggios of the opener ‘Firdous’ to the occasional thunderous rifferama of instrumental closer ‘Mukti’ the band take the listener through a myriad of styles and moods from melancholia to the totally uplifting – often within the confines of one track. The guitars of Mangesh Gandhi and Shrikant Sreenivasan are prominent throughout and are certainly the equal of any progressive rock players you can think of – and in the exceptional drumming of Hamza Kazi (not the Afghan president (!)) the band have that x-factor that truly makes their sound what it is. Back in the day, bands like Quintessence were lauded for their fusion of Western music with Indian sounds – it is only fair that in this enlightened age, an Indian band taking Western music and giving it their own fascinating twist should be held in the same high regard. This entry was posted in ALBUM REVIEWS, ALBUM REVIEWS (Mobile), All Posts and tagged Coshish, Firdous, India, Progressive/Art Rock, review. Bookmark the permalink.